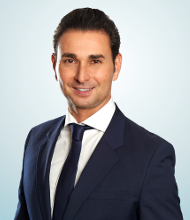 Prof. Dr. Stefan Brass, co-founder of the firm, has been a member of the Frankfurt/Main Bar Association since 2006. Stefan Brass previously worked as a lawyer for a major British law firm and then headed the legal department of a publicly-traded industrial company. After studying law, Dr. Brass worked at the Institute for Law and Finance (ILF) at Goethe University in Frankfurt am Main for several years as a research associate to Dr. Theodor Baums. His corporate and capital market law dissertation was awarded the German corporate law prize from the law firm, CMS Hasche Sigle. Stefan Brass is a lecturer of private business law at the University Frankfurt School of Finance & Management. As a transactional lawyer, Stefan Brass has accumulated many years of expertise in the fields of mergers and acquisitions as well as in corporate law. In particular, he specializes in the legal structuring of transactions in the United Kingdom, Italy, France and Spain. In the area of renewable energies, he is responsible for the structuring of cross-border photovoltaic transactions and advises clients on all relevant contracts, such as engineering, procurement and construction contracts (EPC), share purchase agreements as well as operation and maintenance contracts (O&M). Our client, a medical equipment service company, offers dental services to dental labs in Germany. As a part of our client’s growth strategy, it has acquired 100% of the GmbH shares of a major dental lab, which employs approx. 20 employees. Both medical equipment companies are located in the Rhine-Main region. BRANDHOFF OBERMÜLLER PARTNER advised and counseled the purchaser in all questions relating to the acquisition of the company. This comprised of, among other things, the optimal legal structuring of the transaction, as well as the execution of the agreement negotiations. Another important aspect of the acquisition was the restructuring of the target company’s legal form, including the redemption of shares. Furthermore, employment law aspects, such as company pension commitments, were considered. The dental lab’s fixed assets were sold to the purchaser by way of a sale-and-leaseback transaction. After the acquisition, the purchaser leased the dental lab’s fixed assets back to the target company. The two companies are being merged and all employment agreements are being transferred to the new company. If you have any questions please contact Attorney Dr. Stefan Brass or Attorney Laura Schulze Egberding, Kaiserstraße 53, D-60329 Frankfurt, info(@)bop.legal, www.bop.legal, Tel: +49 (0)69 34 87 92 00. Our clients operate wind energy and photovoltaic plants in the role of Asset Managers for institutional investors, as well as on their own account. Our clients engaged BRANDHOFF OBERMÜLLER PARTNER with the review of their financing agreements for five of their power plants in Italy. The subject matter of the agreement reviews is to examine the financing interest rates and the collateral clauses, including the claim assignments to the Gestore dei Servizi Energetici S.p.A. (GSE), compensation for early repayments, contractual penalties, and other penalties, as well as termination options. The financing agreements that have been entered into in the past, that include loan and leasing agreements, contain very high nominal interest rates as compared to the rates available in other European PV markets. As a consequence of government grid feed subsidy cuts, tax increases and sinking minimum rates for the so-called ritiro dedicato and low market prices for electricity, power plant returns are in negative territory. The Italian Civil Code, the Codice civile, provides more extensive protections for financing recipients – also in the case of financing transactions between businesses – than other legal systems. For example, agreed interest rates may be reduced and other agreement clauses may be adapted, if certain conditions are met. For legal and tax questions regarding solar and wind power plants in Italy please contact Attorney Dr. Stefan Brass or Attorney Laura Schulze Egberding, Kaiserstraße 53, D-60329 Frankfurt, info(@)bop.legal, www.bop.legal, Tel: +49 (0)69 34 87 92 00. BRANDHOFF OBERMÜLLER PARTNER is one of two law firms that has become a full member of the European Photovoltaic Industry Association SolarPower Europe. SolarPower Europe (formerly EPIA – European Photovoltaic Industry Association) is headquartered in Brussels and represents companies, organizations and associations along the entire solar value-added-chain. As the only law firm, BRANDHOFF OBERMÜLLER PARTNER is also a full member of the German Renewable Energy Federation (BEE), the umbrella organization of the German renewable energy sector. BRANDHOFF OBERMÜLLER PARTNER is also the only law firm that is a member of the German Solar Association (BSW), Germany’s most important solar industry association.